The next session of the OPEC Energy Dialogue will take place in 2017, Russian Energy Minister Alexander Novak said Monday. VIENNA (Sputnik) – The next session of the Russia-Organization of the Petroleum Exporting Countries’ (OPEC) Energy Dialogue will take place in 2017, Russian Energy Minister Alexander Novak said Monday. "The next session will take place in Moscow next year. Or maybe some other city, we shall determine this additionally depending on our colleagues’ wishes. The next topics of discussion for us will be the influence of the changes taking place on the markets today, including price consequences, investments in the oil sector, analysis of attracting financing and investment in conditions of different taxation systems in different countries," Novak said. 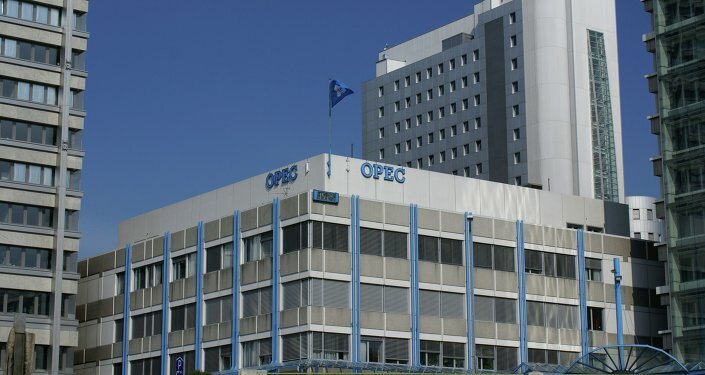 The Russia-OPEC Energy Dialogue is an annual event attended by high-level officials from the Russian Foreign Ministry and OPEC and focused on short-term oil market developments, as well as medium- to long-term prospects. OPEC agreed in late September to cut its oil production for the first time in eight years. The output ceiling was set at 32.5-33 million barrels a day for the whole cartel. Further details of the deal are due to be unveiled at the group’s meeting in November. Russia, which is among the world’s leading oil producers, however not a member of OPEC, expressed its will to uphold the agreement. The September agreement was reached against the backdrop of decline in oil prices, which have dropped from some $110 a barrel to values below $50 since mid-2014.